Full Name: Francisco "Cisco" Ramon (Secret Identity). Abilities: Vibe's powers revolve around vibration, frequency and resonance. • Vibe has redefined his powers as having to do with inter-dimensional physics. Vibe's waves have the power to disrupt the Speed Force, making him one of the few characters who poses a serious threat to the Flash. • By shifting his body into a certain frequency, he is also undetectable by security cameras. • Vibe's powers enables him to create shock waves of considerable strength that could shatter concrete or steel. • His powers can affect the physical world as seismic vibration (and even Terrakinesis), or the fabric of spacetime (such as extradimensional portals). Backstory: Cisco Ramon began his career as Vibe shortly after Aquaman disbanded the original Justice League. When young Cisco heard that a new Justice League was forming in his own hometown of Detroit, he decided to give up his position as the leader of a local street gang, Los Lobos, to join. What made Ramon a candidate was his metahuman ability to emit powerful vibratory shock waves. Vibe's presence on the team caused Aquaman and the Martian Manhunter to harbor some strong doubts about the new JLA, particularly after he got the League involved in a rumble with a rival gang. He soon proved his mettle during the League's battles against Cadre, Anton Allegro and Amazo. He stayed with the League through the Crisis on Infinite Earths crossover, when his powers played a vital role in defeating Despero. Personality: Despite his background as a street gang member, Cisco is kind, caring, intelligent, and a laid-back young man, who often at first glance seems unable to take things seriously. However, he has often proven to be surprisingly focused when it comes to helping Los Defensores fight against crime. It's apparent that Cisco is a nerd in many of the conventional ways. He has a clear love of comics, sci-fi, and pop culture, and is very excited to see such concepts made real for him, such as witnessing super-powers from assorted meta-humans. • Physical Fitness: Yusuke is a fit young man in his early 20’s, with athletic abilities on par with that of a professional athlete or martial artist. • Skill Mastery: Yusuke is said to have mastered 2000 skills. While not all of said skills have been shown, he has demonstrated and eclectic combination of abilities that includes cooking, teaching, acrobatics, martial arts, motorcycle racing, mountain climbing, multiple languages, archeology, juggling, sleight of hand, numerous sports, computer use, mechanical repair, medical training, etc. He isn’t a true polymath in the way Batman or Mr. Terrific have mastered virtually all known physical and mental sciences, but he can be assumed to have enough aptitude in most skills to hold a professional job at them. • Arcle: Yusuke is bonded to an ancient mystical belt known as the Arcle. Normally this device lays dormant inside of his body, where it regulates his systems, improves his overall health, and rapidly heals his injuries. Any wound that doesn’t outright kill him will heal with sufficient time, and while it did nothing to deaden the pain of said injuries, Yusuke would usually recover from even truly horrific injuries within a matter of days. There is some evidence the Arcle would also reduce his aging, possibly a side-effect of the enhanced healing. • Henshin / Transformation: When Yusuke wished, he could summon the Arcle from within his body, manifesting the belt around him. Then, by shouting “Henshin” (‘Transform’ in Japanese), he would be transformed into his Kuuga form. Each form had a variety of abilities, different strengths and weaknesses that he had to utilize properly in order to maximize his effectiveness. 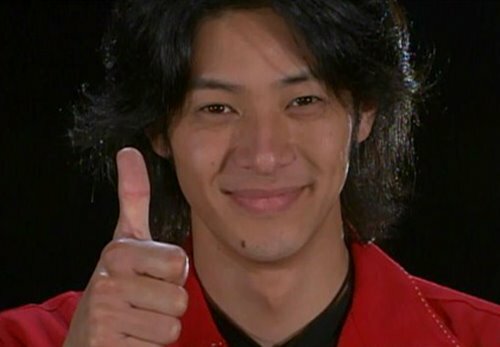 As Kuuga, Yusuke is one of the most powerful Kamen Riders in existence, possibly the most powerful save for Decade, and only because Decade can copy Kuuga’s power, in addition to every other Rider’s powers. While Riders like W, OOO’s and Wizard are more versatile, Kuuga has the most raw power at his disposal. Thankfully, this power is held in check by Yusuke’s morality, otherwise he would be a much more dangerous threat to the world than any opponent he might face. 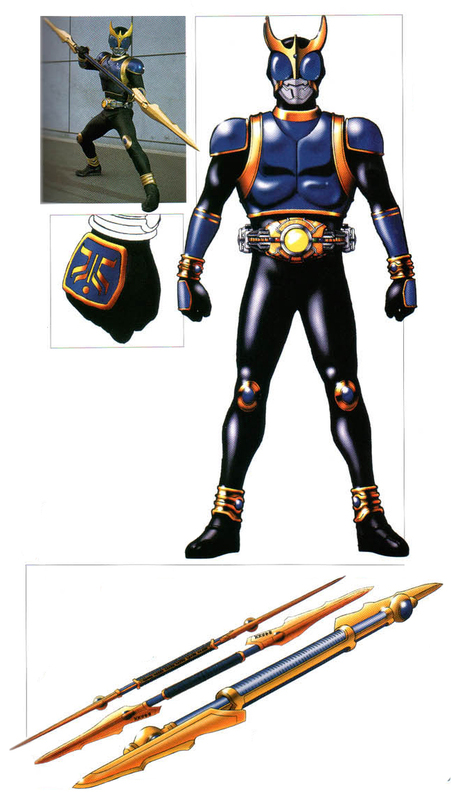 Originally Kuuga had four base forms, along with a ‘Golden Power’ upgrade to each form, and then two super forms. In my own personal head canon, Yusuke decided that his final form (which essentially combined all the strengths of his previous forms into one, and then magnified their power exponentially) was simply too powerful, so he divided that power amongst his four base forms. Now each form essentially operates at an enhanced version of their ‘Golden Power’ level, having the might of his final form, but only in each of their specialties. This forces Kuuga to still rely on his head in battle, and keeps his power from going out of control. 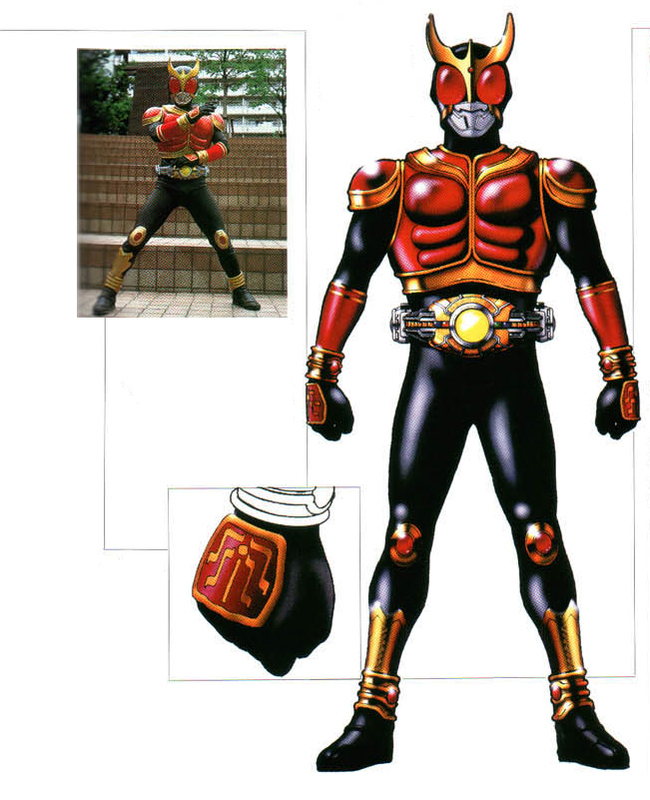 • Kuuga Form Red – Mighty Form: Kuuga’s balanced/fighter form, and the form Yusuke will most often default to. In this form, Yusuke is superhumanly strong, durable fast, agile and his fighting skills are enhanced as well, making it his best all around form. In essence, he combines Captain America’s fighting skills and agility/speed with Iron Man’s strength/durability. When he needs, he can augment his strikes further with a type of golden electrical energy that radically increases his damage output. It is said that when he uses these ‘Mighty Strikes’, no matter how invincible his opponent is, if he hits them, they will bleed. This form also contains Kuuga’s super move, the Mighty Rider Kick, a flipping flying side kick that has immense potential for destruction. This kick could allow him to KO or even kill Heavyweight opponents. However, using the kick requires intense concentration and focus. If the power is allowed to run wild, the impact from the kick will create a massive explosion that will devastate everything in a two mile radius around the point of impact. 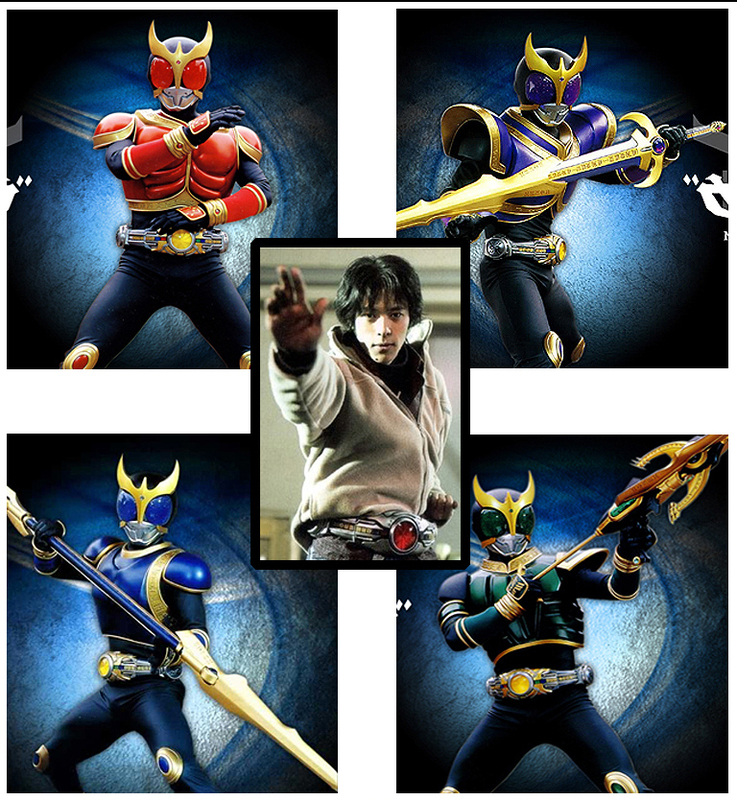 • Kuuga Form Blue – Dragon Form : Kuuga’s fast/agile form. This form is for rapid travel and dealing with particularly agile foes. Dragon form is much faster and more agile than Mighty Form, and has the ability to perform incredible leaps across vast distances, as well as fall from said distances safely. However, Dragon form is only half as strong/durable as Mighty Form, and it cannot augment its unarmed strikes in the same way. In essence, he has Spider-Man strength, durability, speed and agility, while being able to leap around like the Hulk. For close combat, Dragon form will summon a staff* that gives it range and enhanced striking power, as well as the ability to deflect projectiles. It cannot match the raw damage of Mighty Form, but the Dragon Staff is best when it’s how quickly you strike that matters. *Note: I know the image shows Kuuga wielding a spear, but I prefer the simple staff he originally used before the upgrade, so I’m sticking with it. 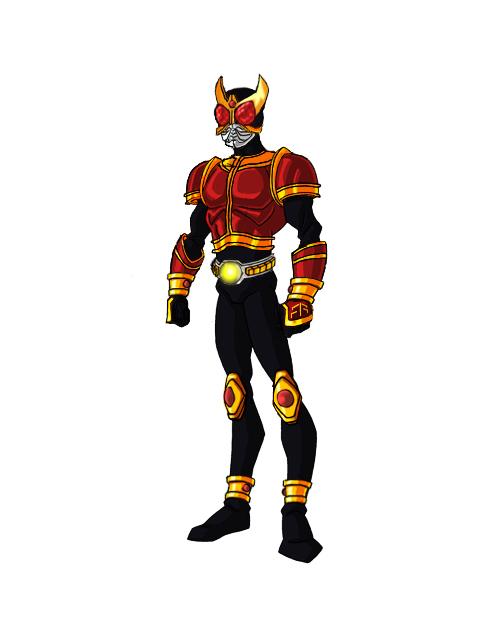 • Kuuga Form Purple – Titan Form : Kuuga’s strong/durable form. This form is for heavy lifting and resisting damage rather than avoiding it. In this form, Kuuga is much stronger in terms of the weight he can lift, thought Mighty Form’s enhanced Mighty Strikes still deal more power. Its durability is also significantly greater than Mighty form as well, to the point that attacks that could critically injure Mighty form will just bounce harmlessly off Titan form. Titan form can also summon a tetsubo* (a type of Japanese maul / war club) to deal even more damage than its unarmed strikes would do. While Might form’s ‘Mighty Strikes’ deal more damage, Titan’s Sword deals almost as much damage with each swing, trading max damage for consistent damage. While the The trade off, naturally, is that Titan form is slower and less agile than Might form. In essence, it hits like Thor (unarmed and hammer/mace), soaks damage like Superman, but moves like the Juggernaut. *Note: I realize the art and show had Kuuga use a sword, but as long as I’m tweaking things, I thought I’d give him a Japanese weapon that overall better fit the character type, at least in my mind. 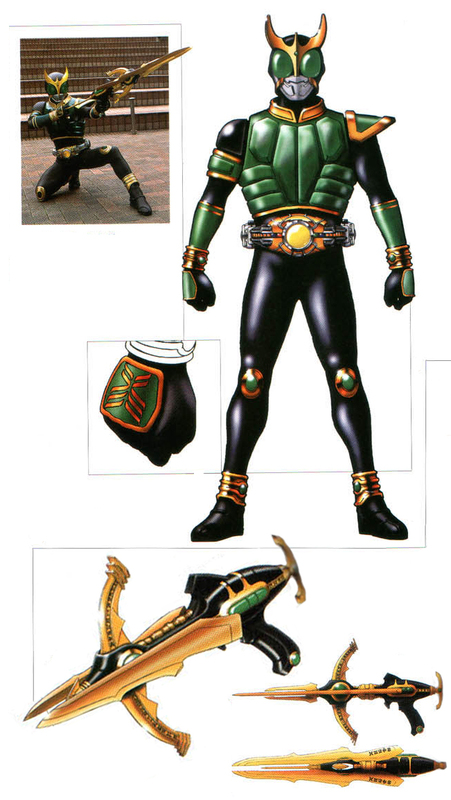 • Kuuga Form Green – Pegasus Form : Kuuga’s ranged combat form. This form is as weak/vulnerable as Dragon form, and has the reduced movement speed/agility of Titan form, making it physically the weakest form of the four. However, its senses are superhumanly acute, able to hear and see things miles away as if they were happening right in front of it. Pegasus form can also see the invisible, see through illusions/shapeshifting, and detect a host of other things. It can also summon a powerful bowgun pistol that can be fired with Hawkeye-like accuracy, hitting targets miles away with ease. By pulling back on a charging lever, the gun can fire an even more potent blast. Its hand/eye coordination is so sharp that it can even pluck bullets out of the air. Basically, it has Superman-style senses, along with some mystical illusion/invisiblity/shapeshifting penetrating bonuses, can aim like Hawkeye and has a decently powerful ranged attack. • Vehicles: Yusuke has access to the BeatChaser 2000, a specialized high performance motorcycle. From the Arcle he can also summon the Gouram, or ‘horse armor’ that resembles a man-sized beetle. The armor can fly on its own, and Kuuga can grip the underside or ride its back like a surfboard to achieve a flight speed comparable to a helicopter. Or the Gouram can combine with the BeatChaser to become an armored motorcycle with a speed and handling on par with the fastest rocket cars, while still being armored like a tank. Yusuke is also a skilled motorcycle rider, to the point he can use the motorcycle wheels in combat. Backstory: Long ago, before recorded history, a race of monsters known as the Gurongi terrorized the humans of the world, attempting to drive them to fear and madness and make the humans as vile and evil as the Gurongi themselves. 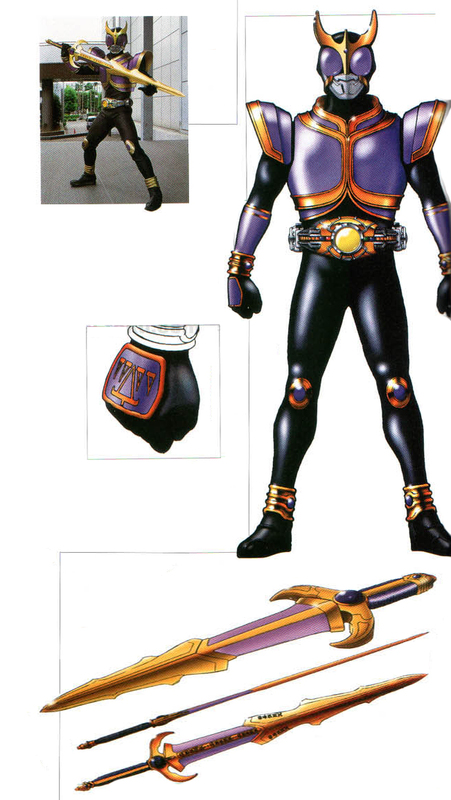 A lone blacksmith worked with several mystics to create the Arcle, an item of power that allowed the blacksmith to become the first Kuuga. Using this power, the original Kuuga defeated the Guronig and sealed them in a tomb, before sealing himself in as well, using his own power to contain them. In the modern era, archeologists uncovered the tomb, and accidentally freed the Gurongi from imprisonment. The original Kuuga was killed before he could revitalized, and the Gurongi proceeded to begin terrorizing the modern world. Enter Yusuke Godai, a young adventurer and explorer who returned to help out a friend of his, one of the archeologists who had accidentally set the Gurongi free, and one of the few people to survive. His friend had found the Arcle in the aftermath of the attack, and Yusuke felt the belt “calling” to him mentally, showing him visions of the past Kuuga. When another Gurongi attacked, searching for the belt, Yusuke donned the belt and transformed into the second Kuuga, fighting off the attack. From that time, Yusuke has used the power of Kuuga to defend the world from evils of all kind, but especially fights to end the Gurongi threat. Personality: When he was younger, Yusuke was often very sad due to having lost his parents. A teacher taught him the importance of responsibility, of trying to do one’s best, and of protecting the smiles of others. “Protecting the smiles of others” has become Yusuke’s mission statement in life. For a lot of superheroes, it’s enough to save someone’s life. For Yusuke, it is just as importance to protect their happiness, to make a world where they can be happy. This desire to protect people was what motivated Yusuke to be a hero. What allowed him to endure the trials that followed this decision were his optimism and determination. An eternal optimist, anytime his friends began to doubt the outcome of their endeavors, Yusuke would simply smile, give them a thumbs up and say, “No problem.” He had complete faith in his friends ability to solve the crisis at hand, and this faith inspired them to do their best. His ability to make friends with others, even in spite of the other person, was legendary on the show, as he soon had a very diverse group of people working with him and considering him a true friend. While he may have been a true superpowered monster fighter, his ability to get others to do their best, to believe in themselves and to become his friends was his greatest power. Yusuke is a genuinely friendly and helpful guy, one who will go out of his way to talk with others and help others, whether that is helping them move some large piece of furniture, letting them talk about the troubles they’re having, or saving them from a burning building. He likes people, he likes to see them happy, and does what he can to either keep them happy or help them deal with their pain. He has a good, warm sense of humor, and likes to use jokes or little sleight of hand tricks to get people, especially children, to smile. Yusuke can come off as a fairly simple-minded fellow, and he does tend to be very blunt and forthright with his statements, and often seems to lack any guile. It’s more accurate to say that Yusuke isn’t a very conflicted person, and strives for honesty whenever he can. Yusuke is a rare person who is at peace with who he is, and likes what he does. In many ways, Yusuke is the inverse of Peter Parker’s credo. For him, great power came from his great responsibility. His purity of spirit and genuine desire to protect the happiness of others was what caused the Arcle to “choose” him. It was only because of his innate sense of responsibility that he gained the power of a Kamen Rider. Unlike most Toku heroes, Yusuke was uneasy with his growing power, and worried that it might grow beyond his control. Likewise, he hates to see people hurt, and people who are cruel to others can inspire rare but potent rage in him. When one particularly malicious and murderous Gurongi pushed him too far, the beating Yusuke delivered to it before finally ending its life was so vicious that the Gurongi was reduced to a whimpering, blubbering messed. Thankfully, Yusuke’s will to fight and rising power never overcame his innate compassion and self-control, else he would have become just as monstrous as the Gurongi themselves. Full Name: Unknown (secret). Honey Lemon is a nickname given to her by Fred, and she has no “hero” name as of yet. Appearance: Honey is a beautiful young woman of mixed Caucasian/Hispanic descent in her early twenties, with slightly tanned skin, very long blonde hair (reaching down to her waist) and piercing green eyes. She has a tall, slender yet athletic figure, standing 5’10” normally and 6’2” in her custom heels. • Chemist: Honey is a world-class authority on chemistry and bio-chemistry, with such a knowledge of the subject as to border on alchemy. She is capable of coming up with complex chemical equations on the fly and knows precisely how to combine them for a multitude of effects. Interestingly, this mastery of chemistry has made her an exceptional cook (Fred says she makes the best brownies). • Fashionista: Honey owns and runs an online boutique store. • Observant: Several times in the film, Honey displays exceptional awareness and perception, being the first to notice critical pieces of information. This is likely a side-benefit of her chemistry training, being able to identify things on sight, etc. • Armor: Honey wears a suit of compact and flexible armor that never-the-less provides her with excellent protection from harm. • Chem-Purse: Honey Lemon possesses a specially designed purse that allows her to create virtually any chemical composition she can imagine (which is effectively every chemical compound there is). This purse then produces a tennis ball-sized sphere that can be thrown, and on impact, will release its contents. Honey has demonstrated an exceptional throwing arm and good hand-eye coordination when it comes to throwing these spheres. The types of chemical effects she has achieved include, but are not limited to: acid, rapid metal embrittlement, intense heat/thermite, cushion foam, intense cold/ice, imprisoning gel, electrical and fire insulation, smoke bombs, etc. She was even able to create an antidote to a mutagenic compound that had transformed a human into a walking blob monster. In effect, if it can have its origins as a chemical compound, her purse can reproduce it. Backstory: Honey Lemon’s origins are largely unknown. She is a bi-racial student who attends the San Fransokyo Institute of Technology, specializing in various types of cutting edge technology revolving around chemistry. 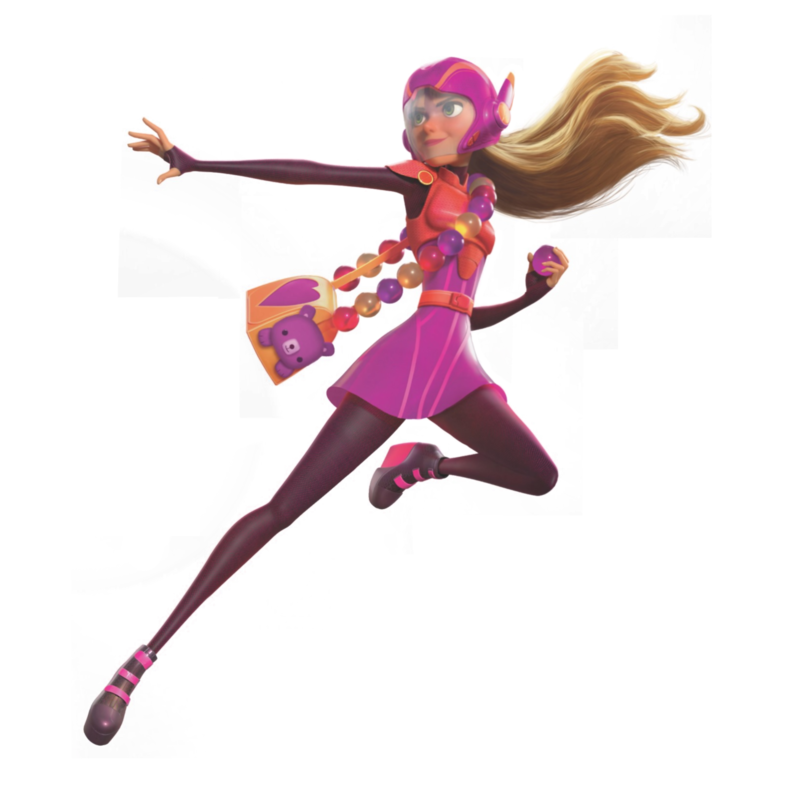 She was close friends with several students, specifically Fred (who gave her the nickname Honey Lemon), Gogo, Wasabi and Tadashi Hamada. During one visit, Tadashi introduced Honey to his younger brother hero, and with the rest of her friends, befriended the 14 year old boy. She later attended the science exhibition where Hiro displayed his nanobot inventions, to much acclaim. Sadly, this was also where Tadashi tried trying to rescue people from a burning building. Honey mourned her friend’s death with the rest of her group, and tried to maintain contact with Hiro, who had secluded himself away in his grief. Later, she received a message from Baymax, the medical robot Tadashi had designed, and traveled with her group to find Hiro investigating the actions of a supervillain, Yokai. Yokai had stolen Hiro’s nanobots and were using them for his own sinister agenda. Barely escaping with their lives, the group decided to become a superhero team to bring Tadashi’s killer to justice. Hiro designed costumes and gear for each member of the group, customized for their unique skillset. 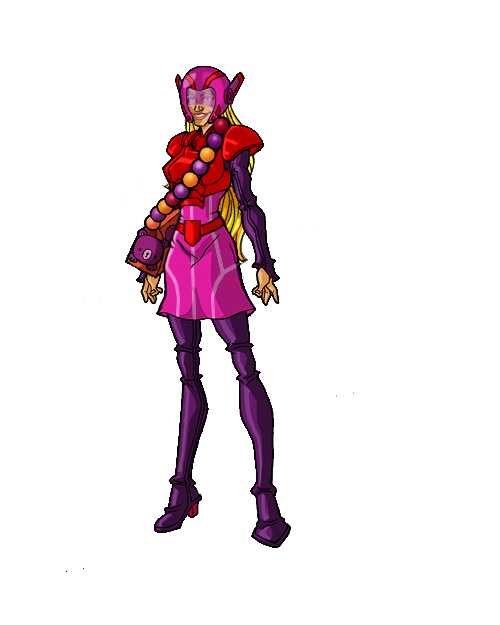 Honey was given a purse that allowed her to create any chemical compound she could imagine, and use them as potent ranged weapons. Working together, the group (which would later be known as Big Hero 6) managed to thwart Yokai’s plans while also preventing Hiro from giving in to his growing need for revenge. Together, the group now splits their time as college students and adventuring superscience superheroes. Personality: Honey Lemon is a unique blend of sweetness and enthusiasm. She is cheerful and outgoing, with a quirky sense of humor and numerous little character ticks. While she can be calm and serious when the moment requires, more frequently she’s a bundle of barely contained energy, energy which becomes completely unrestrained when she gets involved with things she loves, especially chemistry. She loves the whole creation process, whether it’s making a new batch of chemicals, cooking up a fabulous meal or designing some cute clothing. Honey’s enthusiasm also gives her a kind of “mad scientist” vibe, akin to the Sparks from the Girl Genius series. She actually has quite the love of danger, excitement and explosions, with her friends describing her as a “closet pyro”. She is always eager to try out some ne formula or compound, and bigger the effect, the more she likes it. • Medical Training: Peter is a trained nurse and caregiver. While not a surgeon on the level of Stephen Strange, his medical knowledge and training allow him to function as a skilled medic and decent doctor. • Power Mimicry: Peter possesses the ability to copy the powers of other superhumans in his vicinity. This ability triggers automatically in the presence of a superhuman, but in most cases he must make a conscious decision to be aware of any power he’s gained and to call upon that power. He does seem to be able to zero in on people how have abilities if he makes the effort. While in the presence of superhumans, Peter can access any of their abilities whenever he wishes, but they must remain within a certain radius of him, roughly 100 feet. If there are no superhumans within that radius, Peter can only retain a Power Template of a maximum of 6 individuals at once. If he wishes to acquire a new stored Power Template, he must give up an existing one. Peter is also somewhat limited in what abilities he can mimic. Unlike Amazo or the Super-Adaptoid, Peter cannot mimic abilities that are based on training, magic, alien physiology and equipment. The powers he can mimic must be something that is based on alterations to a basic human genome. He can, for instance, mimic the powers of mutants, as well as the abilities of the Flash, the Fantastic Four, Spider-Man (though not his web-shooters), Captain America (though not his shield or training), the Hulk (though not his indestructible purple pants). He could not, however, copy the powers of Superman (non-human), Captain Marvel (magical), Green Lantern (equipment), Iron Fist (training), Son Goku (non-human with training) or Thor (non-human with magical equipment). Even half-human/half-something hybrids would generally be beyond his ability to mimic, since it’s less of something enhancing basic human DNA as much as it’s the creation of a new species that can breed with humans. My interpretation of Peter will start with the following powers stored: Telepathy, Telekinesis, Invisibility, Flight, Regeneration and Radiation Manipulation. Backstory: Peter was born into the Petrlli household, and quickly became the “white sheep” of the family. While his parents were decidedly amoral and his older brother Nathan tended to flip-flop between selfish and altruistic, Peter was genuinely good person who just wanted to help people. Whereas his parents were wealthy business owners and Nathan went into politics, Peter became a nurse and caregiver. However, while he enjoyed helping people, Peter always felt like he could be doing more, that he was meant for more. Then one day, during an eclipse, he discovered that he was in fact meant for more. It turned out that Peter’s family were part of a secret society of superhumans, one which worked to police the larger superhuman community that walked in secret amongst humanity. Peter was at first ignorant of this, as his efforts were spent more on understanding his emerging powers and thwarting the schemes of the superpowered serial killer Sylar. His primary mission was to save The Cheerleader (his niece, Claire) and prevent New York from being destroyed in a nuclear blast by an unknown party. With the aid of several allies, Peter was able to defeat Sylar, but disaster struck when his powers began to mimic an ability Sylar had recently stolen, specifically the ability to emit nuclear bomb levels of radiation. Peter realized with horror that he was unintentionally the threat he had been trying to prevent. With no other option, Nathan used his own power of flight to take Peter high into the upper atmosphere, where both of them vanished in a flash of radioactive flame. While Nathan was eventually found, Peter has not been heard from since. Personality: Peter is a sensitive, empathic, idealistic individual in a family where selfishness was generally the rule rather than the exception. Despite his parents best efforts, Peter grew into someone who could relate to others, understand their pain, and genuinely wanted to help them. His desire to help can come off as naïve, but he learns from his mistakes and will never hesitate to place himself in harms way to help others. In essence, Peter is an all loving hero who reserves his anger for those few beings he feels are beyond redemption. Unfortunately, since his parents focused all of their time and love on molding Nathan into the man they wanted, Peter has developed a mild need for attention. Even though he finds the job of being a nurse and helping others deeply satisfying, there’s a part of him he doesn’t like that wants to receive recognition for what he’s done. Though it’s telling that even when he does receive praise for his work, Peter humbly shrugs it off. It’s this combination of genuine altruism and mild attention seeking that makes Peter “want to do more” with his life. He feels a need to go out and do something, especially once he got powers that let him make a more active difference in the world. He gets somewhat jealous when others have the spotlight, though he feels bad about it later. It also creates points of weakness others can exploit to manipulate him, though such tricks tend to work only once. Peter is eager, not stupid. Furthermore, having genuine friends and allies did much to help alleviate this problem before his final conflict with Sylar. Appearance: Vanessa is an attractive woman in her early twenties, with of medium height and an athletic build, with piercing blue eyes and long brown hair that she normally wears in a ponytail or in some kind of braid. She tends to wear simple, utilitarian clothing in dark colors. In her civilian identity, she is usually seen in her wheelchair. • Scientific Skills: Vanessa has spent years thoroughly mastering various scientific disciplines, including virtually all manner of engineering, computer programming, physics, etc. She personally designed her power armor, created her own sentient AI, and built a multi-billion dollar research and development company own her own. Her ability to analyze and dissect data also made her a very skilled investigator and detective, and she is an expert at managing her company. - - - The suit gives her Iron Man-level durability through a combination of unique alloys and forcefield reinforcement. The armor’s physical lifting and striking damage is considerably lower, allowing Valkyrie to lift approximately 25 tons. However, the suit gives her comparable speed, agility and reaction time to Captain America. - - - The suit can use a pair of palm mounted emitters to generate and manipulate radiant “plasma” energy for a variety of effects. Her most common usage is to generate a long-ranged energy blast (Plasma Lance), a solid energy blade for close quarters combat (Plasma Blade), an energy field to deflect incoming attacks (Plasma Shield), as well as a variety of other effects. - - - The suit can fly at a cruising speed of 500 mph and use the Plasma systems to augment that speed even further. Backstory: Vanessa Asshe comes from the world of Green Ronin’s Paragons, a world much like our own, but populated with the superhuman, the supernatural, the strange and the fantastical. Yet despite coming from a world of such potential, for much of her life, Vanessa could never forget what it felt like to be powerless. When she was 13, she was assaulted and raped, the attack so brutal that the resulting spinal damage put her in a wheelchair for the rest of her life. And though her wheelchair was a constant reminder of her attack, she did her best to move forward. Always a remarkably intelligent young woman, she was graduating within three years, then created her own artificial intelligence (code-named ODIN) within two years of that. Soon her technological advancements made her incredibly wealthy, and she founded WorldTree Technologies, a private tech firm that let her pursue whatever projects she wished. Most remarkably, all of these had been side-projects to Vanessa’s true goal. One of the first things Vanessa had promised herself after her attack was that she would walk again. After years of development, she successfully constructed a compact exo-skeleton whose cybernetic interfaces allowed her to walk for the first time in nearly a decade. Soon after, Dr. Jeremiah Prophet approached Vanessa, offering her the chance to use her technology to help others on a global stage. 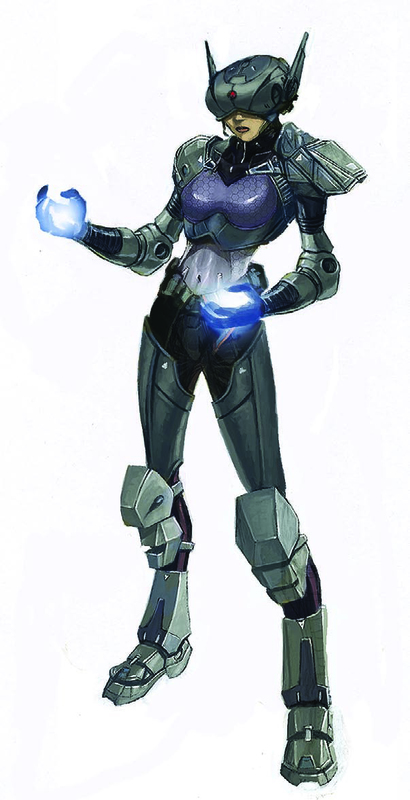 Vanessa accepted, and not only became the primary scientific expert of the newly formed Vanguard, but she modified her exo-skeleton into a suit of full on powered armor. Now, when Vanguard goes into action to defend the innocent, Vanessa flies alongside them as the Valkyrie. Personality: Vanessa has never completely gotten over the assault that left her wheelchair bound almost a decade ago. Her entire life since then has been a quest to fix the damage that incident caused and to try and make sure no one else has to live with such pain. She is very protective of the innocent and downright wrathful with those that would abuse them. She has to make a conscious effort to keep her anger in check and maintain a more scientific detachment when in the field. While Vanessa really wants to help people, she often has difficulty relating to them, partially due to her intelligence and partially due to her disability. She sometimes misinterprets compassion and empathy for pity, due in part to her tendency to overanalyze everything. Since joining the Vanguard and being forced to spend more time with people, she’s slowly started to get better about this. The Valkyrie armor has been an immense release for Vanessa, allowing her to move about freely, fly through the sky and take a direct hand in helping others. She often is much happier when earing the suit and being out in the field, brimming with confidence and a desire to do something. By comparison, when she has to spend time in her wheelchair, she’s much more quiet and detached. In both states, she has a somewhat biting sense of humor, such as when she described the Vanguard’s billion dollar spending account as “woefully inadequate”. I took much of the info below from Write-Ups.org to simplify this part of the process and to come up with some kind of benchmark. Weight Class: Cruiserweight (Tank/ Powerhouse) = The Morituri were top tier on their world, but I don't think they could hang with Heavyweights of mainstream without back uo. Appearance: Originally a scrawny weakling, Marathon became the largest and most physically impressive member of the team. At least seven feet tall and built like a tank, he wore a blue bodystocking with a yellow colar, yellow boots, and a white lower torso. He wrapped his right arm in the style of old roman gladiators. St one pont, he used an industrial laser to burn a black “M” onto his face. It was over roughly the same place a domino mask would have covered. • The Morituri Effect All Morituri have a lifespan of 1 year or less from the time they undergo the Morituri Process. Each Morituri experienced a power surge shortly before the effect took place. Marathon will explode when he dies, releasing enough energy to take out an alien motehrship. •Durability Shortly before the Morituri Effect claimed his life, Marathon’s resistance to physical injury was so great than even blasts from the heavy energy weapons used by the Horde simply refracted off of his skin. •Size Marathon towers over his teammates at almost 7 feet in height and is a wall of muscle. • Flight Shoes The Morituri discovered and replicated technology that enabled them to fly. Akin to the Legion of Superheroes Flight Ring, the shoes allowed them to fly for brief periods, the limits of which were more plot driven than defined. Backstory: In the world of Strikeforce Morituri, an alien horde has invaded Earth. Although not outright conquering the planet, they are an occupying force of plunderers and pillagers. And until the discovery of a process that turns people into superheroes, there was little Earth could do to fight back. Robert Greenbaum was a pilot, second class, in Earth’s military forces when he learned he was eligible for the Morituri Process. His father was a famous scientist, and Robert sought a way to make his mark on the world the way his father had. He volunteered eagerly and initially was an enthusiastic fighter. As he watched his friends and teammates die, he began to grow more somber. Marathaon vowed to kill as many of the Horde as possible before his time ran out. He earned the distinction of single-handedly destroying two Horde motherships. The first one, in Earth orbit, was destroyed when he stayed behind after his teammates left to prevent a Horde strike against Los Angeles. He blew up the engines and returned to the Morituri base after surviving reentry. Later, when the team attacked the Horde treasure ship by Jupiter, he felt the Morituri Effect building within him. Once his teammates escaped he channeled his power into it, causing an explosion that consumed the vessel. This version of Robert is from just before the Jupiter mission. 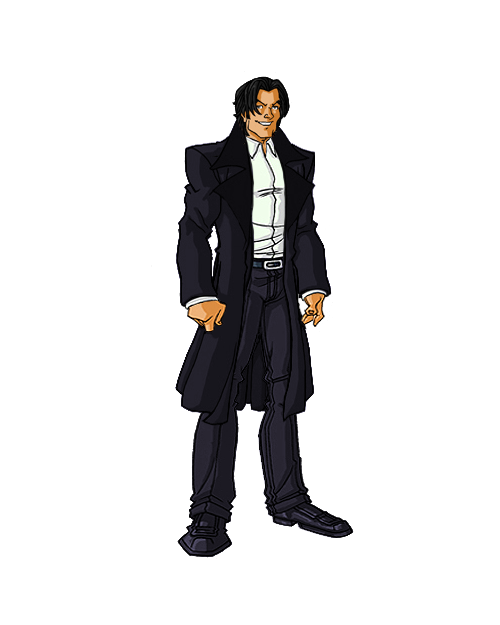 Personality: At first overjoyed with his new powers and size, Marathon became very moody and fatalistic. He saw himself and the others as already dead and caring only about how many aliens he could kill before his death caught up with him. He was extremely protective of Adept, though the two never had a chance to do more than express their love for each other. Weight Class: Middleweight. Tracks should probably be a higher tier, but his concern with preserving his stylish appearance and poor ability to work with fellow Autobots hampers him. Full Name: Autobot Tracks, public identity. •Cybertronian Life Form Tracks is the size of a car and weighs just as much. As a robot, he towers almost 18 feet in height. As a mechanoid life form, he doesn't have to deal with many of the issues that affect carbon based life. •Flight Inexplicably, Tracks can also fly. To do so, wings fold out from under the body of his alt-mode. Perhaps he modeled on a vehicle from MASK or a SHIELD flying car. •Speed The speed you'd expect a sportscar to roll at, or a flying car to move at. Backstory: Tracks was one of the Autobots selected by Optimus Prime to clear a path through an asteroid field that threatened to destroy the planet Cybertron. Upon completion of their task the were attacked by their enemies, the Decepticons. Tracks and his allies, spent from their efforts in destroying the asteroids, were no match for their enemies. They were all rendered inoperable by the fierceness of the Decepticon assault. Rather than allow the Decepticons achieve their victory, Optimus set the Ark on a collision course with the planet Earth. The Ark struck the base of Mount St. Hillary where it lay inert for over 2 million years. Tracks was revived nearly 2 million years later, after the volcanic mountain erupted and awakened the Ark’s computer and repair systems. The damaged computer systems mistakenly assumed that the mechanical devices that littered the Earth’s surface were sentient machines, and rebuilt the Cybertronians in their image.Tracks was reimaged as a dark blue Corvette Stingray with a giant flaming logo on his hood. Personality: Tracks is a narcissist. He speaks with an exaggerated aristocratic drawl and often appears more concerned with his bodywork and paint job than the task at hand. Nonetheless, he is a valiant fighter and an asset to his team. I know I said K in my original listing, I meant J. Weight Class: Middleweight. J can hold his own, but he's a squishy human compared to all the other powered types around. Full Name: J. Secret. All trace of who he was has been erased except for the pocket watch that belonged to his father. Appearance: A black male in a suit and looks like the stereotypical government operative. •Noisy Cricket Agent J always has some manner of weapon on him, as well as communication devices and other tech that could assist him in his missions. •Natural Athlete J has demonstrated remarkable ability to withstand pain, keep pace with stronger life forms and the like. He once ran down a cephalopod on foot. •Instinct Able to access a situation before acting, J will think before shooting or acting. •Resourceful Despite the technology available to him, J more often than not solves his missions with pure skill and ingenuity. Backstory: Agent J was a New York detective recruited by Agent K to become a member of an Elite team or agents that protect the Earth from threats from beyond our world. The link between the two men was later revealed to be more than coincidental with K having witnessed the death of J's father when the latter was a young child. On his first mission, J helped K stop a bug and delivered a galaxy to the Arkillions. He later moved up the ranks, becoming a senior agent in the raks of the MiB. Personality: Reckless, fun-loving and seemingly egocentric, J is actually an accomplished detective and agent. He hides his ability behind a problem with authority and devil-may-care mannerisms. Most of the time his good nature will show through and his work ethic and excellent instincts will always shine. 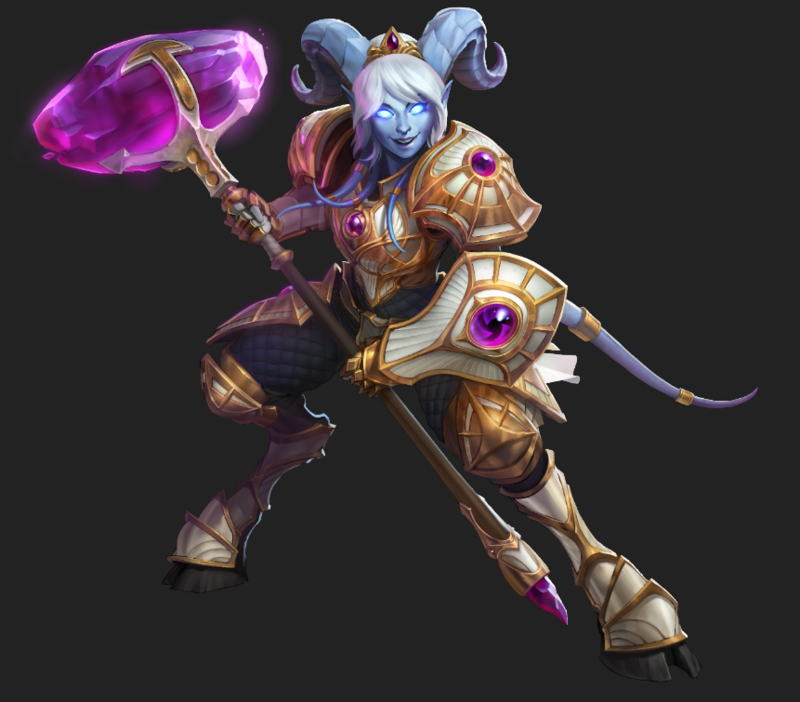 Appearance: Yrel is a female Draenei with shortish white hair and glowing blue eyes. She’s on the short side for a Draenei, which means she only an inch or so over 6 feet tall. Like most Draenei, she has goat-like horns, her feet end in hooves, she has a short tail and several short tentacles that originate just below her pointed ears. She has a somewhat Amazonian physique, but is considered quite attractive by Draenei standards (and by the standards of many humans as well). Yrel tends to dress in heavy plate armor, mostly white with gold trim and designs, along with amethyst crystal decorations. She goes into battle wielding a buckler-style shield strapped to one arm and a large warhammer with a crystalline hammer head. • Draenei Physiology: Most Draenei are stronger and more durable than the average human, though not superhumanly so. They are more in tune with natural forces, and the ambient energies of the universe allow them to live for thousands of years without really suffering the affects of age. Their hooves give them better traction on certain terrain, and their horns can be used as makeshift weapons, if need be. • Draenei Lore: The Draenei are masters of magic, technology and the Light. They created a functional form of technology that runs on magic, and thus can draw parallels between mortal technology and their own. Each of them knows basic magic manipulation, though more for the use of technology and rituals, as most Draenei are not spellcasters. • Combat Training: Yrel has become an experienced and dangerous warrior within a short time. She has been able to hold her own against some of the most dangerous beings on her world, as well as several beings from beyond said world. 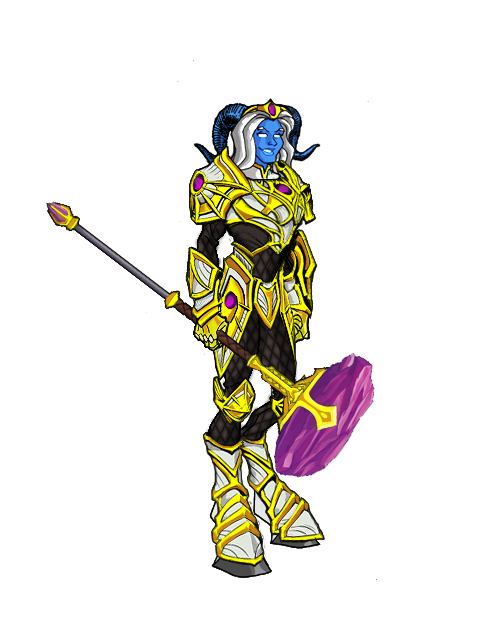 Her preferred weapons are a large warhammer and shield, and is especially skilled at defending others. • Weapons and Armament: Yrel wields a massive warhammer formerly wielded by her friend and mentor, Maraad. The hammer is virtually indestructible and hits with incredible force. She also wears sturdy paladin armor and a small buckler-style shield attacked to her left arm. - - - Healing others, as well as purifying their bodies of poisons and disease. Unlike many Paladins, Yrel does not have to be touching someone to heal them. - - - Enhancing the power of her attacks, letting her hammer hit with incredible power. These holy smites are especially effective against supernaturally evil beings, but can reduce even giant rock monsters to rubble with a single swing. - - - Give herself brief bursts of strength, speed and durability, allowing her to leap far distances, resist being pushed backwards, or withstand damage that gets past her defenses. When combining a strength boost with her Smite ability, she can deal truly ridiculous damage. Likewise, when calling on the Light, she has immense stamina, being very difficult to put down. - - - Create shields of Holy energy that can protect herself and her allies from harm. She can increase the power of these shields by first channeling the energy through her buckler, creating a tangible shield of Light to stop attacks. - - - Infusing the area around her with Holy energy. This causes her allies to receive an invigorating burst of energy while her enemies are hampered in various ways. Beings of supernatural evil will actually take damage from this. - - - Using the Light as a direct weapon against her opponents, striking at them at range. This can be used to simply stun or disorient her foes, or deal massive Holy damage to a target or group of targets. However, causing direct damage in his manner is much more exhausting than when done via her hammer, even if direct damage is often more powerful. This is especially effective against undead and demons, the latter of whom are often banished by such power. - - - She can use her awareness to pierce illusions, detect various magical and supernatural forces, and generally “feel” when something is wrong. She can also gain premonitions from the Light itself. - - - She can travel by summoning a Celestial Steed composed of the Light itself, whose radiant wings allow it to fly. Backstory: Unlike the rest of the group, Yrel does not come from any version of Earth. She was born on the world of Draenor, a world her people settled on after being driven from their homeworld of Argus by the demonic horde known as the Burning Legion. Young by Draenei standards, Yrel lived happily within the one of the major Temples of her homeland, mastering the ways of the Light, but preferring to enjoy her life rather than fully commit to her studies. This changed when a stranger from another world approached the other sentient race that lived on Draenor. The Orcs were convinced by this stranger (himself an Orc named Garrosh Hellscream) to united as an Iron Horde to conquer everything before them. This included the Draenei, who found themselves fighting for their very existience. Thankfully, heroes from the world of Azeroth (the world Garrosh had fled from) arrived and helped fight the Iron Horde, alongside the Draenei and the Orc clans that resisted the Iron Horde. Yrel could not stand by as her people died, taking up arms as a Paladin to help defend her world. Though she watched two of her beloved mentors (the Prophet Velen and the Paladin Maraad) sacrifice themselves for her, Yrel remained strong and committed to the Light, and eventually helped overthrow the Iron Horde. Throughout her experience, Yrel had risen in the Draenei command structure, becoming one of the leaders of her people, and she promised that if the Heroes of Azeroth ever needed her help, she would be there for them. Personality: Yrel could best be described as “perky”. She is a charming, friendly, upbeat and generally nice girl, eager to befriend others and to aid those who need. She is still technically young by Draenei standards, being somewhere in her comparative late teens/early 20s, and displays a lot of youthful optimism and love of life. Her sense of humor could be described as “goofy”, as she has a love of making really bad puns. Despite her newfound maturity, Yrel still displays a few elements of her relative youth, such as occasional impatience, occasionally taking things as slights where none were intended. These moments invariably embarrass her, and she works to be more mature. Above all, despite the tragedies she’s suffered, she remains a friend to all who are on the side of good, and an ardent defender of the innocent. Appearance: Kurt has shining yellow eyes without pupils, dark indigo skin/hair and a pointed tail. He has 3 fingers on each hand and 2 toes of abnormal size on each foot, pointed ears and fang-like canines. •Athletic Kurt has beyond olympic level athletic ability, easily besting he best gymnasts and on par with Spiderman. •Teleportation kurt can disappear from one location to reappear in another, he leaves behind a cloud of foul smelling brimstone and smoke when does so, possibly a result of moving interdimensionally to teleport. He does not she momentum, change direction or the like when teleports, and must have a clear indication of where he is going. He can teleport blind, but because his powers will fail if he would appear inside an object (even partially) he has long believed that he cannot teleport unless he has seen where he is going. •Teleportation Nausea Passengers to Kurt's teleports often experience nausea and can even pass out. This is due to passing through the atmosphere of the dimension that he uses to teleport. •Teleportation Fussilade Nightcrawler can grab a target and do a quick succession of teleports, in order to have the teleportation shock stun the opponent. He's not entirely immune to this effect himself. He can also use this ability to make a rapid succession of strikes. •Shadow Blending In addition to all of his other gifts, Kurt can also use his teleportation abilities when in shadow to partially disappear, almost appearing to be invisible. • Swordsman Kurt is a huge fan of Errol Flynn and swashbucklers in general and has trained in the use of various swords in a fencing/ swashbuckling style. • Devout Catholic Wagner has a “True Faith” advantage most often found in other Genre, such as Gothic Horror Genres. This Advantage marks him as being touched by God, and possessing enough faith in the Lord to actually affect some of the works of the Adversary. Backstory: Kurt is the son of the shape-changer Mystique. She got rid of him shortly after his birth by throwing him off a cliff while being chased by a mob. According to some, his physique can be explained by his mutation adapting to the conditions he met after being born. He was found by avowed witch and Romani queen Margali Szardos. She raised the boy with the body of a demon like she would have her own son. Kurt became part of the small, old school circus Margali lived with. Kurt became the circus’ star acrobat and aerialist, and grew close to Margali’s children, Stefan and Jermaine (the latter better known under the pseudonym Amanda Sefton). A few years later, the circus was bought by Texan millionaire, Amos Jardine. Jardine wanted to move Kurt to the freak show. Appalled, Kurt left to Stefan’s house – but his foster brother had just become murderously insane. Kurt attempted to stop him, and accidentally broke Stefan’s neck. Seeing him in shock over Stefan’s body, the villagers believed he had killed both Stefan and Stefan’s victims. They attempted to lynch him.&mesp;Kurt was saved by Charles Xavier, and joined a new generation of X-Men. He was code-named Nightcrawler, and became a key member of the group. During one mean fight with the Marauders, Kurt was wounded and sent to Muir Island’s medical unit. He was still bed-ridden when he learned the X-Men had died in Dallas. Kurt went through a severe guilt trip, but was spurred into action when the Phoenix made it back to Earth, prompting the creation of Excalibur. He’s been a member of the group since day one, and has become its leader. Kurt has shining yellow eyes without pupils, dark indigo skin/hair and a pointed tail. He has 3 fingers on each hand and 2 toes of abnormal size on each foot, pointed ears and fang-like canines. Personality: Since taking charge of Excalibur and getting close to Amanda again, Kurt has become noticeably more businesslike and ruthless. He’s tired of the anti-mutant prejudice, and sees Excalibur as a constant preemptive strike against hatred and bigotry. He’s a competent and aggressive officer, good a snap decisions and morale-strengthening remarks. Kurt still has a private life, however. He’s still with Amanda Sefton (in fact, they’ve grown much closer than before), still loves the swashbuckling culture (especially Errol Flynn), and is still a practicing Catholic. Simply, the later two aspects are less visible than during his career with the X-Men. He no longer acts like a comedian to cover his own uncertainties and sensibility, since he’s considerably tougher. Appearance: Orko appears to be a diminutive blue humanoid, capable of floating in mid-air, whose appearance is almost completely hidden beneath a robe, hat, and scarf. Little more than Orko's hands, ears, and eyes are ever seen as Trollan custom only rarely permits the revelation of one's face. • Floating Orko pretty much flies all the time, floating in the air at "adult" height to compensate for his size difference with most people. He has shown ease with also using this ability to up and down obstacles that suggest he is indeed flying and not just floating. • Muddled Mage In his native dimension, Orko is said to be a master mage. In our reality, his powers misfire quite a bit. This can manifest as not functioning, functioning to a lesser or greater degree, functioning altogether differently than intended or even backfiring. • Hat of Holding Orko's hat seems to be a veritable bag of holding, having a large number of (mostly useless) items in its depths that he can pull out. Backstory: Orko came to Eternia when a "cosmic storm" accidentally transported him there. He appeared in the Tar Swamp, where he found a young Prince Adam and his pet, Cringer, at the time a tiger cub, and saved them both from dying in the tar. However, he lost his pendant in the process after colliding with a tree. Stuck on Eternia, Orko was made Royal Buffoon by the King of Eternia in gratitude for having saved his son. Orko became one of Adam's closest friends; in fact, Orko knows that Adam is secretly He-Man, although it is never revealed how he found out. However, Orko frequently annoys Man-At-Arms, due to his magic constantly backfiring or Orko coming into his lab unexpected and uninvited and messing with his equipment, which gets on Man-At-Arms' nerves rather than amusing him as it does others. Orko has proven to be a good friend and a valuable ally, despite his unpredictable powers and the fact he is more than a little clueless. Sometimes Orko wonders how useful he is to He-Man, but despite his apparent cowardliness, he never fails to help those in need. Orko returns to Trolla, with the help of others, on a number of occasions. The first time, he helps He-Man save the life of several Trollans captured by a humanoid dragon called Dragoon, and begins a romance with a Trollan girl named Dree Elle. However, he decides that his place is now on Eternia, and so he returns there. However, he still occasionally visits his friends and relatives on Trolla. Personality: Orko is the comedy relief with a heart of gold. Despite all his potential power, he rarely uses it and when he does it often backfires. He is courageous but not foolhardy, loyal to his friends and means only well. Last edited by Bladewind on Fri Jul 27, 2018 8:29 pm, edited 1 time in total. Appearance: Wuji is a handsome young man of Asian descent in his early 20’s. He stands around 5’8” with straight black hair and deep brown eyes that have a slightly redish hue to them. His physique is an almost perfect blend of compact muscles that provide power while also not interfering with his movements. He frequently dresses in the clothing of 14th century China, frequently in shades of green and black. • Physical Fitness: Thanks to his training, Wuji is essentially peak human for his size and build. He is just as fast and agile as someone like Captain America, and slightly less strong and durable. • Medical Knowledge: Wuji was trained by the most skilled doctor of his era, and after the latter’s passing, was the greatest medical practitioner of his time. He knows many ways of healing the human body that have been lost to modern medical science, and can heal people using only his own chi and manipulation of their pressure points. He has also shown the ability to weaponize this knowledge, being able to paralyze people with a light tap, and knows just where to hit someone to cause crippling pain or injury. • Wu-Dan Kung Fu – Long Fist Style: The original style Wuji was taught, Wu-Dan Long Fist taught him the basics of martial arts, how to increase his striking power, and how to move in what is known as the “Lightfoot”, or the wire-fu style of movement wuxia Kung Fu films use. While Wuji never mastered this style, it provided the groundwork for what he would use later. He primarily used knowledge of this form to develop superior striking techniques and mastered the “Cloud Ladder” form of Lightfoot, allowing him leap incredible distances and heights, perform incredible feats of acrobatics, and basically move as if he had a team of wire-stuntmen helping him at all times. • Radiant Nine: The first martial arts form Wuji truly mastered was known as Radiant Nine. It was based on strengthening nine points of energy within the body and causing them to work in unison together, creating an incredible boost in chi power. Using Radiant Nine, Wuji could heal himself and others of serious injuries, fight off poisons and similar effects, and boost his physical abilities tremendously. He could wield large 500 pound boulders as if they weighted nothing, resist powerful strikes as if they were no more than a cool breeze brushing against his skin, or channel that power through a simple twig so that it hits like a sword. • Altered Universe: Wuji’s primary martial arts form essentially shows him how to properly comprehend, channel and control the flow of power in the world around him. It gives him incredible awareness of his surroundings, and he can not only easily see the flaws in an opponents style, he can perfectly learn said style after having witnessed it once. It’s primary combat usage is that Wuji can deflect virtually any attack directed against him, and redirect the attack however he wishes. He has sent punches and kicks sent his way into walls, sent his opponents tumbling through the air, or even had his opponents hit a different opponent, or reflect the attack so that the opponent hits himself. He can control the attack with such accuracy that he has, more than once, re-directed an attack so that it hit a targets pressure points, paralyzing them. • Shao Lin Kung Fu – Dragon Claws Style: A style Wuji mastered while fighting it’s greatest master, thanks to Altered Universe showing him how the form worked. It’s primary function is that of an expert grappling form, able to grip someone with such strength as to shatter stone and steel, to allow the users fingers to function like claws, and otherwise grip someone in a way they cannot escape. • Wu-Dan Kung Fu – Tai Chi Style: The fourth style Wuji mastered was a more advanced form of the original Wu-Dan Kung Fu he was taught. Tai Chi complimented Wuji’s Altered Universe greatly. In effect, both forms are about the controlling of energy, but whereas Altered Universe is superior at redirecting energy, Tai Chi focuses on principals of absorbing and amplifying energy. Using Tai Chi, Wuji can absorb an incoming attack to negate the damage it would cause, then return the power of that attack several times over. He can also cause someone’s attack to over extend itself, causing the opponent to damage his own limbs with the strike. 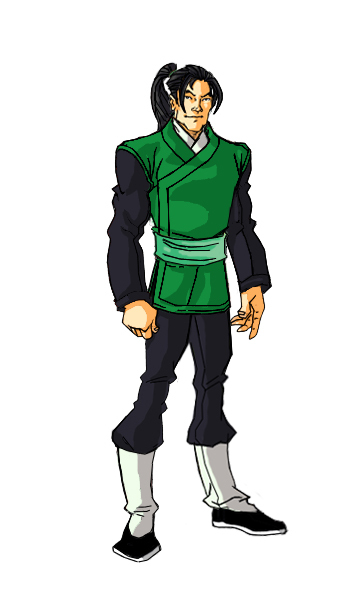 Backstory: Unlike most of the other characters on my team, Wuji Chang is not from contemporary Earth. His story takes place in 14th Century China, and is . . . very long and complicated to say the least. The short version is that his parents were from rival martial arts schools, who hoped his birth would help bring peace amongst the six major schools. Unfortunately, a conspiracy by the Mongols who ruled then China dishonored both parents in a way that resulted in them committing suicide. Wuji himself was then afflicted with a powerful and poisonous chi technique that would slowly kill him. Now orphaned, Wuji left his home, studied medicine in the hopes of curing himself, and stumbled upon the Radiant Nine form, which eventually eradicated the chi affliction he’d been hit with. He then discovered the Ming Rebels, a group trying to free China from Mongol rule, and managed to broker a peace between the Rebels and an alliance of 6 Major Martial Arts Schools of China. After that, he had to reveal a conspiracy by the Mongols to destroy the 6 Major Schools, while also dealing with a love triangle that included, naturally, a Mongol Princess. Eventually, Wuji was able to unite the Ming Rebels, the 6 Schools and several other factions to drive the Mongols from China and implement a true Chinese government. Weary of all of the fighting by this point, Wuji left the governing of the people to others, and was content to walk into the sunset for a life of peace. Personality: Despite being one of the most dangerous martial artists the world had ever seen, Wuji was the picture of wuxia heroism: calm, polite, genuinely humble and with no real desire to hurt anyone. Wuji would have much preferred to use his skills to heal others, but constantly found himself thrust into the role of warrior and leader. Even when he had good reason to be angry with another, he would often keep his cool, and make every attempt to use diplomacy and reason to prevent violence. Despite being then unknown to them, Wuji was able to win the respect and admiration of the 6 Martial Arts Schools through his combination of skill, compassion and righteous behavior. Wuji’s greatest strength was his ability to connect with and earn the respect of others. His genuine compassion and empathy allowed him to understand the points of views of others, while the true righteousness of his actions often swayed them to his side. He was also very good at figuring out solutions to problems, and was adept at thinking on his feet. When it came to learning or implementing martial knowledge, he was second to none. Wuji was very contemplative in all of his actions and deeds. He would worry about whether he was doing the right thing, but once committed to a course of action he would often find a way to succeed in an honorable fashion. However, this was also a real weakness of his that made him a poor leader. He would often take long to come to a decision when it involved the lives of others, because he felt that such time needed to be spent to make sure he had carefully considered his actions. Knowing that he might be sending men to their deaths caused Wuji to mull over whether he was doing the right thing, and how to give them the best chance for success. While he was able to lead the forces of China to victory, he was very much uncomfortable with the mantle of leadership, and things would not have gone as well if he hadn’t had allies he could delegate things to or ask for advice. Wuji had the makings of a great advisor, scholar, doctor and diplomat, but was ultimately an average leader at best. Appearance: Cheetara is a female ThunderCat based on a cheetah with an anthropomorphic humanoid physical form, along with an muscular build. She is normally seen wearing a one-piece orange leotard that has her ThunderCat emblem at the front of her bosom, and orange boots. • Speed Cheetarah can jog at roughly 120 mph, implying her top speed is far greater. She can only go for relatively short bursts at top speed though as she tires from exertion. • Sixth Sense Cheetara has a largely uncontrolled ability to see the future and the past through visions. Although this was also very taxing, such that she sometimes considered it a curse; these visions could come at random and when she forced them to appear, it could take days or weeks for her to recover. 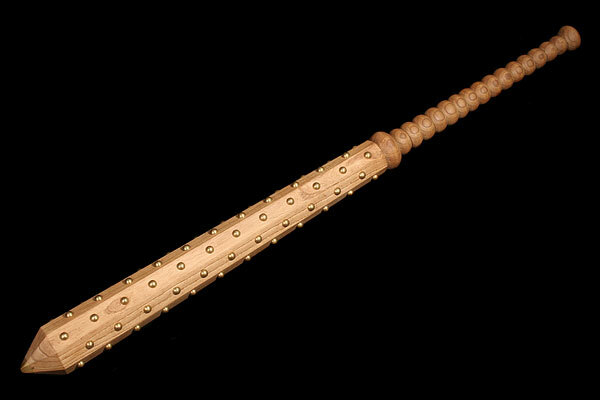 She could also sense danger to others which she attributed to "woman's intuition"
• Staff Her weapon was the baton or bo staff, which could extend to any length and shoot out energy beams. It was attached to a cuff on her left arm when not in use. Backstory: Cheetara had left the doomed planet of Thundera with her fellow ThunderCats. Leaving behind the planet, Cheetara was instructed by Jaga to wake Lion-O from sleep, which she did, despite the objections of Snarf. When the Mutants boarded their ship, Cheetara joined the other ThunderCats and bravely fought them off. She was given a new outfit and her Staff to help defend herself on their new home by Jaga, along with her fellow ThunderCats. Cheetara helped defend the ship from the attacking Mutants, going into suspension to make the journey to the new planet chosen as the ThunderCats' new home. She was then revived with the others when they reached their new home on Third Earth, and after defeating the Mutants, prepared with the others to build a new home. Cheetara's amazing speed has often saved the other ThunderCats from deadly situations. Once when Tygra ventured into a mysterious cave, he found himself beginning to age rapidly, Cheetara was the only one who could get in and out of the cave fast enough to save Tygra from death. When the time of Lion-O's Anointment Trials came, it was Cheetara's task, as the fastest of the ThunderCats, to try Lion-O in speed. Lion-O knew he could not beat Cheetara in a race, and so took a dangerous western route as an alternative. Already miles ahead of Lion-O, Cheetara ran into the Mutants, who pursued her on land and underwater. Luckily Panthro arrived in the Thundertank to assist the outnumbered Cheetara. Cheetara was ahead by a mile and two thirds, eventually coming face to face with Lion-O, they raced alongside one another to the finish of their race. Lion-O knew he could not win the race in this way, but his sheer determination allowed him to. Lion-O at first believed Cheetara had let him win, something which offended her, as the code of Thundera forbade such action. The distance they ran actually exhausted Cheetara's super speed, and she told him that his determination not to lose had allowed him to win the race. Personality: Cheetarah by default often fills the mother figure role, wise and patient. She doesn't display the "normal" traits of a speedster - she's not impulsive or rash, and does everything at a "normal" pace. Again, for simplicity, I used a web write up to generate this character sheet - Star Wars Wikia. Appearance: Ahsoka Tano is a Togruta female with blue eyes, dark orange skin, brownish-grey lips, white facial markings, and white Lekku and montrals with blue stripes. At some point during the Clone Wars, Tano began to learn Jar'Kai, wielding a yellowish-green bladed Shoto lightsaber with a hilt that matched with her original lightsaber. She still sometimes uses only her main lightsaber, but would use Jar'Kai when facing multiple opponents. • Combat AbilityTano's combat skills are clearly quite considerable, as she was able to defeat three IG-100 MagnaGuards single-handedly and at least temporarily hold her ground against the skilled assassin Asajj Ventress and the Jedi hunter General Grievous. • Force Powers Tano possessesa strong connection to the Force, and often performs Force-enhanced jumps and other acrobatic feats.In addition, Tano's Force powers enabled her to leap to incredible heights. She is capable of performing extensive telekinetic feats. Tano also had a strong ability to sense things in the Force, able to feel the presence of Plo Koon after his fleet was destroyed by the Malevolence and the presences of the children who were kidnapped by Cad Bane. She also eventually learned how to perform mind tricks. • Pilot In addition to her Force Skills, Tano is a talented pilot. Backstory: By the age of fourteen, Tano was assigned to Jedi Knight Anakin Skywalker—and would learn the ways of the Force as his apprentice—by Grand Master Yoda. Having been granted the rank of Padawan, she demonstrated an eagerness to prove herself worthy to be his apprentice. Yoda did this to alleviate Skywalker's fear and inability to lose loved ones, as he believed that by becoming a teacher, Skywalker would develop emotionally and understand that his excessive bonding to those he cared about was unnecessary once Tano was ready to go off on her own. Tano would develop over her time with Skywalker, becoming a powerful Jedi in her own right, as well as developing enemies and fighting the temptation of the Dark Side. Despite some of her more aggressive tendencies, Tano has proven to be firmly in the Light. Personality: As a teenager, Tano is snarky, cocky, stubborn, reckless and impulsive, yet loyal, brave, generous and kind-hearted. She is very feisty and snippy, which earned her the nickname "Snips" from her master, Anakin Skywalker. Like her master, she is known to be very aggressive, eager for battle and willing to use terror or threats to get the answers she wanted.